Portland, Maine’s black’n’roll cult ZUD is preparing to embark on a new tour through the Northeastern US in early May, dubbed Springtime In The Abyss Pt. 2. Live footage of ZUD performing “Mojave Acid Rain” and “In Conspiracy With The Franklin County Devil” live in their hometown back in December has also been posted. This time last year, ZUD tore across the Northeast on Springtime In The Abyss, a two-week venture which saw them playing shows with their allies in T.O.M.B., Gridfailure, and others. Following a reversed, yet similar path as last year, Springtime In The Abyss Pt. 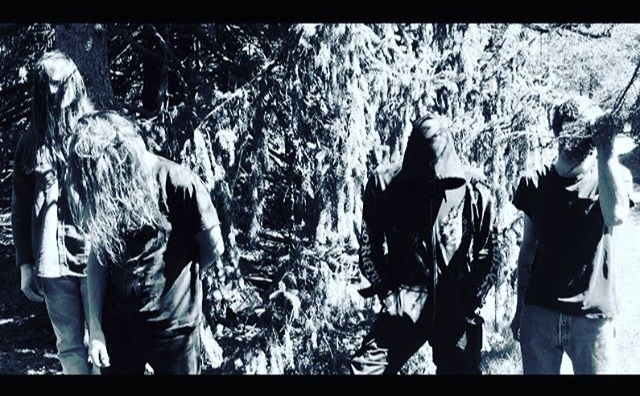 2 sees ZUD taking the sleazy, blackened, bluesy tunes primarily from their A Wilderness Left Untamed album back out, revisiting some of the same cities and venues as last year’s run. Springtime In The Abyss Pt. 2 begins May 1st and runs through May 4th, with shows in Manchester, Kingston, Harrisburg, and Washington DC. 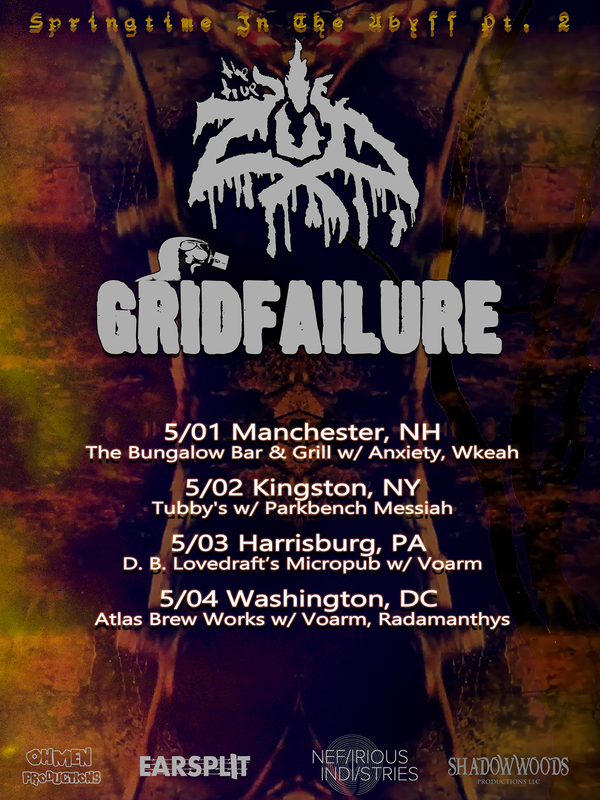 Joining ZUD on all dates will be New York’s Gridfailure, who made its live debut during last year’s tour, with the likes of Voarm, Wkeah, and more throughout the routing. See ZUD performing “Mojave Acid Rain” and “In Conspiracy With The Franklin County Devil” live RIGHT HERE. Stream and purchase ZUD’s A Wilderness Left Untamed HERE. ZUD’s second album A Wilderness Left Untamed was engineered and mixed by Todd Hutchisen (East Of The Wall, Falls Of Rauros, Shabti) at Acadia Recording Co in Portland, Maine, and mastered by Carl Saff (Grails, RVIVR, Unsane) in Chicago, Illinois. It’s ten new tracks boast a hour-long journey which will take the listener on a ride from one end of the rock’n’roll universe to another, with plenty of unexpected turns, all the while distinctly always very clearly recognizable as the output of ZUD.